Emphasising on the importance of innovation and discovery, President Ram Nath Kovind said on Wednesday that this new-era of cutting-edge technologies should be embraced by the people. The President expressed the need to spread the culture of science and innovation down to the grassroots of our society. 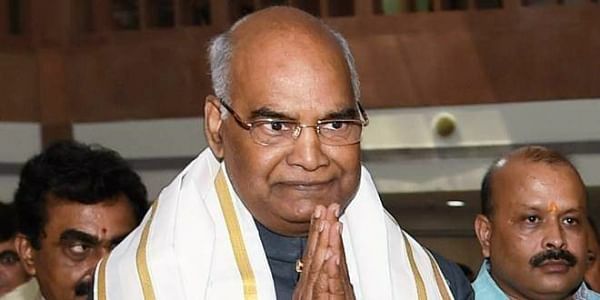 KOLKATA: Emphasising on the importance of innovation and discovery, President Ram Nath Kovind said on Wednesday that this new-era of cutting-edge technologies should be embraced by the people. Speaking on the occasion, the President also said that the Bose Institute occupies a unique and exalted position in the landscape of Indian science as it was one of the earliest scientific institutes to be established in the country. He appreciated the institute’s contribution not only in biological and physical sciences research, but also in its active social outreach programme in rural Bengal through bio-technology initiative. He also appreciated the institute’s ventures to propagate science among the public. “The building of an expanded Museum on the History of Indian Science – which covers our scientific endeavours from ancient times to the 21st century – is also a welcome venture. I am confident it will inspire young people, particularly school children, to explore the wonder and fascination of science,” the President said. Admiring the civil engineering feat that is the Howrah Bridge, the President said that Bengal was one of India’s earliest industrial and manufacturing economies with people like Acharya P.C Ray, Rajendra Nath Mookerjee and Biren Mookerjee. “Clearly when Bengali scientists and technologists turn entrepreneurs, they can be very, very successful. We need to bring back the magic of that synthesis,” he added. In conclusion, The President expressed the need to spread the culture of science and innovation down to the grassroots of our society.